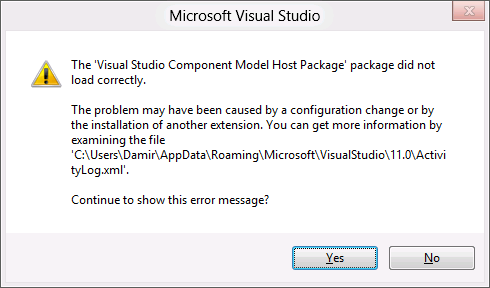 It seems that Visual Studio 11 Beta works better and more reliable in Windows 7 than it does in Windows 8 Consumer Preview. In Windows 7 I've been running it without problems, using Slovenian regional settings. In Windows 8 Consumer Preview on the other hand it doesn't even start properly when regional settings are set to Slovenian. It just shows a bunch of error messages while loading and continues the trend with almost every command you click on afterwards. Doing this is certainly simpler and quicker than reinstalling Visual Studio 11 with correct regional settings as I did the first time.